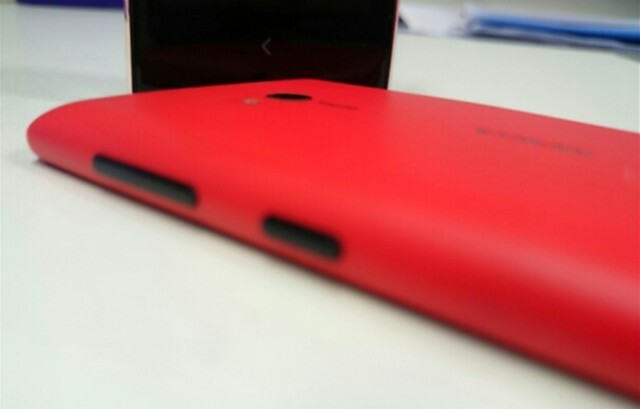 Information about Nokia’s Android handset, codenamed Normandy, has been leaking out all over the place. Images of the phone have been popping up over the last few weeks, and now we have the best look yet at it's interface. The UI clearly takes notes from Microsoft’s Windows Phone operating system, but don’t be fooled: Android is running the show under the hood. If this device were ever released, it would be quite interesting to see how consumers viewed it. Would they think it’s Windows Phone, or would they call it an Android device? It seems clear that Nokia likes the Windows Phone layout, as it was mimicked with Android, which would help the company keep all of its products UI on the same visual parity. It looks like the phone has a dual-SIM setup, which likely means the Android device was set for the Asian or African markets where dual-SIM phones are more popular, and that it uses the same type of shell that we see on the Lumia lineup. The device certainly has a Nokia look and feel to it, and it seems clear that the company was going to add their own touch to the device and not simply ship a stock version of Android. This isn’t a major surprise, as Nokia has been doing as much customization as possible (shipping several exclusive apps) with its Windows Phones to help separate them from the pack. It’s quite clear that the device does exists and that it has been manufactured, even if only in the prototype stages, which likely caused Microsoft to buy the smartphone business from Nokia. The real question remains is if we will ever see this product hit retail shelves. We would love to see a Nokia-built Android device, but considering that the company's handset unit will soon be owned by Microsoft, we highly doubt this product will ever make it outside the walls of Nokia. New Nokia Normandy screenshots seem to confirm dual SIM capabilities, "two ways of interaction"
Windows Phone and Android to meet in 'Normandy'? 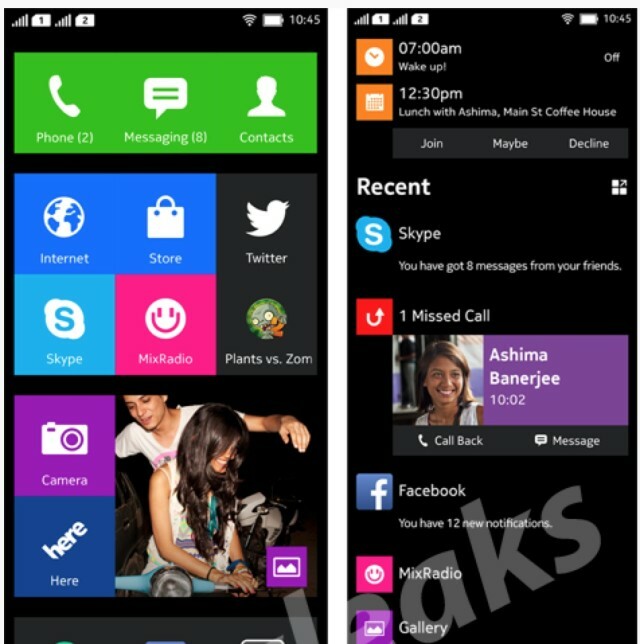 Nokia Normandy: is Android going to kill Asha?